For a newly-minted author with almost no clout, media coverage from TV, radio, magazine, and newspaper sources seems fanciful. After all, who would want to interview no-name little old you with a self-published book and no media connections? Lots of people, that’s who. Far too many authors miss the opportunities media sources offer because they don’t know how to pitch to journalists or they believe no one will be interested in their relatively unknown work. The reality is that authors are in high demand as guest experts. Publishing a book automatically gives you a massive credibility boost. It sends the message that you possess a certain level of expertise on a particular topic or in a particular genre. 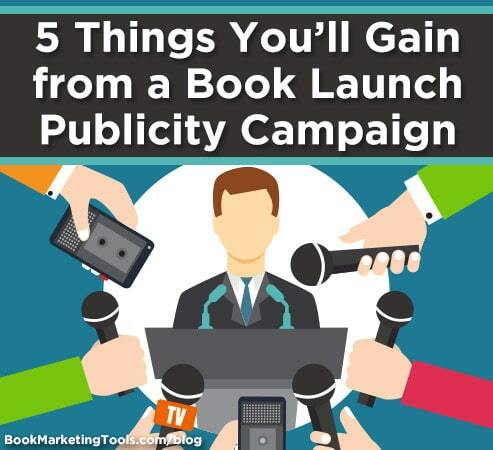 Besides allowing you to leverage that credibility to connect with new audiences and attract readers to your book, securing a few meaningful interviews during your launch only enhances what you’ve already accomplished. Media attention is beneficial far beyond that, though. Features, story contributions, and interviews take your exposure, authority, and identity to a whole new level. You’ll not only be able to build your personal brand, but you’ll also be able to raise your profile as an expert in your genre or area of knowledge. Consider how a “Featured On” or “Appeared On” section would look on your website and as part of your sales copy. Social proof? Yes, please! Your authority is only amplified by the reputations of the journalists who write about you, the hosts who talk about you, and the trusted experts who appear alongside you in articles and interviews. Rubbing shoulders with a few influencers couldn’t hurt, right? Great publicity sets you apart, effectively improving your competitiveness within your market or genre. The more media appearances you make, the more successful you appear—which means you probably know your stuff (and on goes the cycle of credibility and trust building). The viral nature of publicity opens opportunities to spread your message even further. Unlike ads, publicity regenerates itself. One interview can lead to another and another, potentially turning you into a household name before you know it. Think BIG. Think beyond local publications and broadcasts. Publicity not only fans the flames of your fame, but it also helps form strategic alliances with program producers, journalists, hosts, and more. Instead of begging for a little media love in future, you’ll have people waiting with pens, recorders, and cameras in hand to get the inside scoop on your next book. 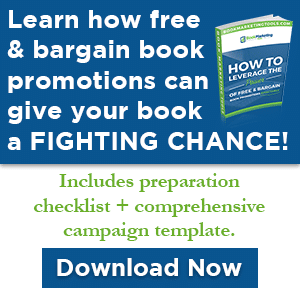 Although you might be focusing on the short-term goals of launching and publicizing your book, you’ll feel the long-term effects of a good publicity campaign for years to come. It’ll also make future campaigns so much easier to implement. And let’s not forget that it’s virtually free. Are you thinking about running a publicity campaign during your launch or have you left this tactic on the side-lines? Let us know your thoughts on this topic in the comment sections. Don’t forget to also grab a free copy of our book launch success checklist by clicking the image below.